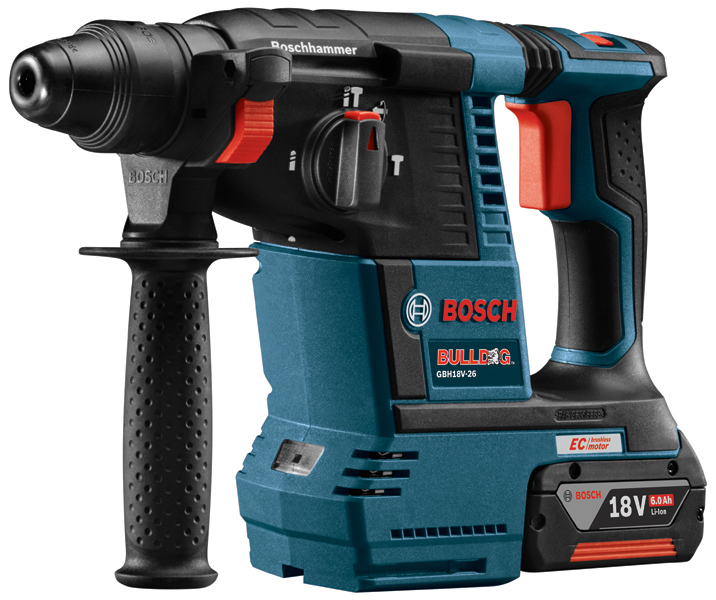 Bosch has announced a new Bosch 18V EC Brushless 1″ SDS+ Rotary Hammer GBH18V-26K that is said to deliver a great performance to weight ratio. 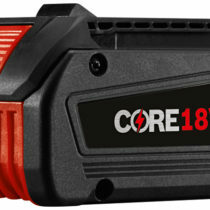 This is by producing a wholesome 1.9 ft-lbs of impact energy in a cordless power tool that weighs only 7.7 lbs with a FatPack 6.0 battery installed. This is thanks to it’s brushless motor that helps reduce weight while maintain high power along with added runtime. 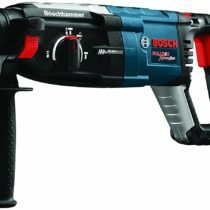 Other features include Bosch’s own Kickback control technology that acts as an electronic clutch to shut down the tool to prevent injury to the user when the bit binds suddenly. 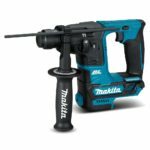 We all know that rotary hammers produce vibration due to the nature of how they operate and this hammer includes vibration control. In the above picture we can see a built in shock absorber built right into the top part of the handle where it connects to the body. 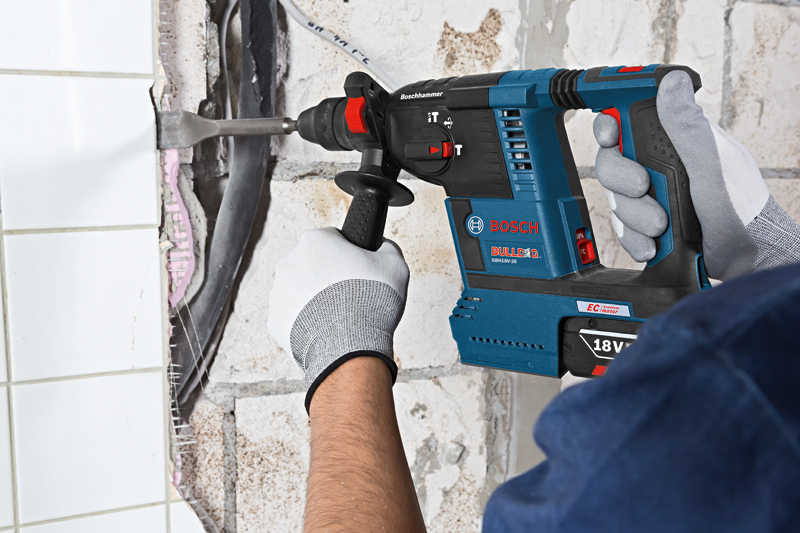 That’s not the end of the features set as it also has what Bosch calls “Electronic Precision Control” which appears to be a soft start which is said to offer accurate bit starts so there is less bit walking at start up. The feature set doesn’t end there as we can see a 4 mode dial on the side for hammer only (chipping), rotation only, hammer and rotation (hammer drilling), and a 4th mode to rotate the bit when used for chipping. It includes a side handle as is the custom and has a built in light at the bottom front of the tool to illuminate dark areas. We can also see a few grooves at the bottom of the tool and these are so that the hammer can accept an optional dust extraction vac which will be available in 2017. I have reviewed this model, to check out my review click here.